Pair by pair, Brooke Cobb is showing what it means to be your brother’s keeper. “I want to devote to my life to helping others,” she said. The 11-year-old is collecting donations through a GoFundMe account to buy new shoes for Hurricane Harvey's victims. 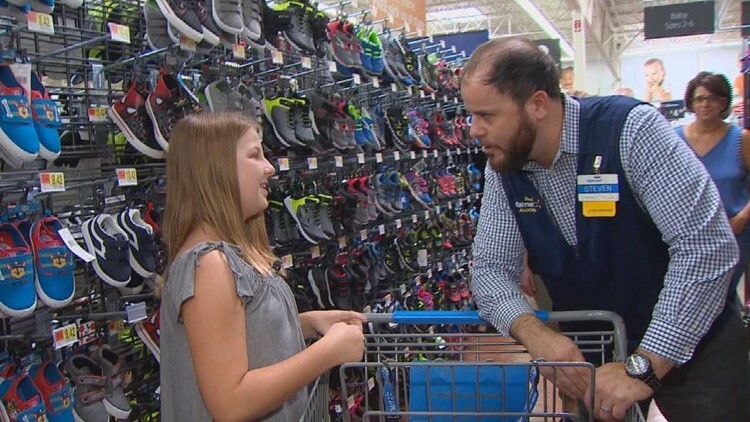 “Everybody deserves a new pair of shoes,” said the Plano sixth-grader. Brooke said she was moved to do something after seeing children in deep flood waters. She and her mom, Shannon Cobb, are calling the effort "Harvey Soles." “If you know Brooke, you know she's always out there looking to do something for somebody else,” her mom said. 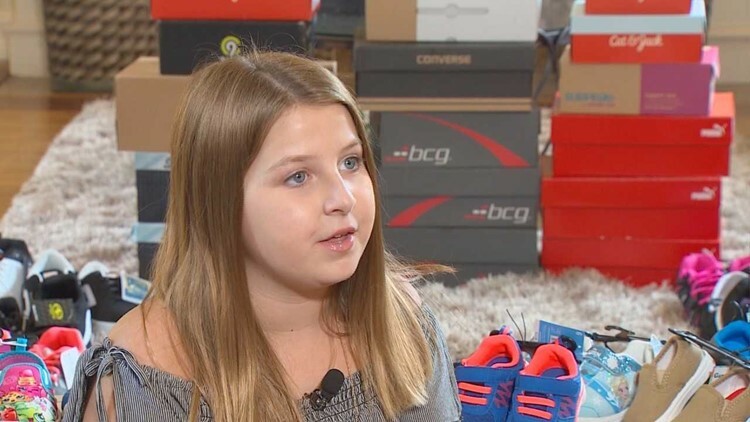 Brooke started with a goal of buying 100 pairs of new shoes. But by Monday, they’d raised money to buy 105 pairs of shoes. They’d laid them out in the family room in the shape of an “H” for Houston. So she set a new goal of buying 250 pairs. Prestonwood Baptist Church, where Brooke’s family worships, will be taking the shoes down to Houston. So off the family went to Walmart Monday morning to spend the $375 she’d raised. They carefully shopped for good deals, buying shoes in all sizes for boys, girls, women and men. A store customer spontaneously gave her another $20. Even Walmart stepped in to help out. Steven Boystun, the store manager, handed Brooke a $100 gift card. Brooke beamed with a smile as he walked away. “That's at least 10 more pairs of shoes you can donate,” her mom told her. When their basket was full, it was time to check out. They’d bought 39 pairs of shoes for $435.72. They had about $60 left. So back into the store mother and daughter went to buy more shoes. In all, they bought 48 pairs of shoes Monday. They’re need just 97 more pairs of shoes to reach her goal of 250. Pair by pair, Brooke’s making a difference for those that need it most.